Hear ThisWelcome to our new continuing professional development (CPD) series titled ‘Hear This’. As the name suggests, ‘Hear This’ is CPD presented in audio file format. We recognise that pharmacists are busy people who like to multitask. This audio presentation recognises there are different types of learners including those whose preferred learning mode is auditory. Auditory learning is a learning style in which a person learns by hearing, listening and verbalising. Auditory learners prefer patterned sounds and words. If you are an auditory learner you understand and remember things you have heard. You store information by the way it sounds, and you have an easier time understanding spoken instructions than written ones. This delivery method is great for busy and time poor pharmacists. You can download the audio file and listen to it as you travel to work, while you exercise or while you relax on the couch. Could GP pharmacists worsen rural shortage? 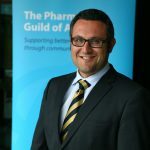 Are pharmacists being left out in the cold this winter? Steven KrashosMike SotirasChristine Ghaly Catherine Bronger Great win for Aussie women! Poll: Who’s got your vote? We’re off to the polls for the Federal election in a few weeks... so which party do you think offers the best option for pharmacy? Unlock your business success Amidst the turbulence of 7CPA negotiations, pharmacy owners need to be aware of what the future holds to avoid disruption. Marta Stybowski, General Manager at Pharmacium joined us at APP 2019 to share more. What are the most effective osteoarthritic pain treatments? This web site is intended for Australian pharmacy professionals and is not a substitute for independent professional advice. Information and interactions contained in this website are for information purposes only and are not intended to be used to diagnose, treat, cure or prevent any disease. Further the accuracy, currency and completeness of the information available on this web site cannot be guaranteed. APPco Pty Ltd, its affiliates and their respective servants and agents do not accept any liability for any injury, loss or damage incurred by use of or reliance on the information made available via or through ajp.com.au whether arising from negligence or otherwise.